David is a licensed independent social worker trained to diagnose and treat mental and emotional disorders. He has degrees from Otterbein College (BA) and The Ohio State University (MSW). David has over fifteen years of experience working with children and families both clinical and community settings. He has been on the team at Providers for Healthy Living since 2013. ​David works with a diverse clientele, but specializes in treating children, adolescents, and young adults who struggle with mood disorders, grief and loss, trauma recovery, and oppositional behaviors. 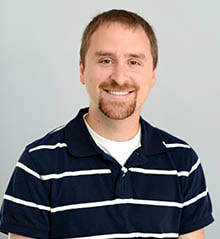 He has specialized training in Cognitive Behavioral Therapy (CBT), grief and loss, and is especially skilled at engaging resistant teens in therapy. More than anything, David desires to help his clients live a full life.